Following on from the invitation we received to participate in our very own B Block Olympics, we have been busy creating, collaborating and making decisions about who we are going to be! We have talked about how some countries are democracies where all the citizens (the people that live there) get to have a say in how things are run, whereas in others the decisions are made for them by the person in charge. We decided we wanted our country to be a democracy. The word 'democracy' has it's origins in Greece, just like the Olympics! 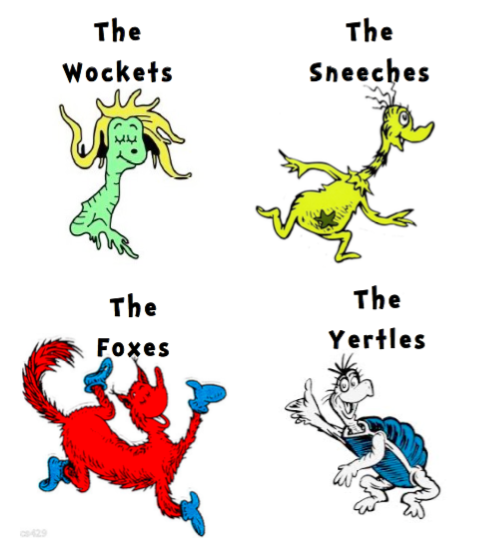 We all thought of ideas for a country name, many based on the colour, our mascot or on our class theme (Dr Seuss). We voted by choosing our preferred option. 'Seussralia' came out on top! We have 23 students in our class, Mrs P and Theodore. Therefore, we decided our country had 25 people living there (this is called the population). Before we chose our name, we used our White Thinking Hats and gathered up all the info we already had. 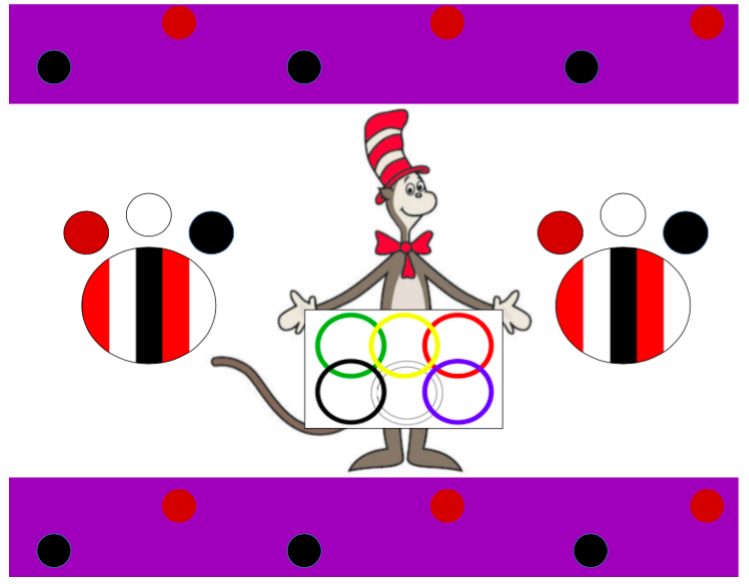 We already have a class mascot, Theodore, and decided we wanted him to be our Olympic mascot too. Since the beginning of the year, we have joked that Theodore speaks 'Meowinese' and often do our 'days at school' in this made up language! 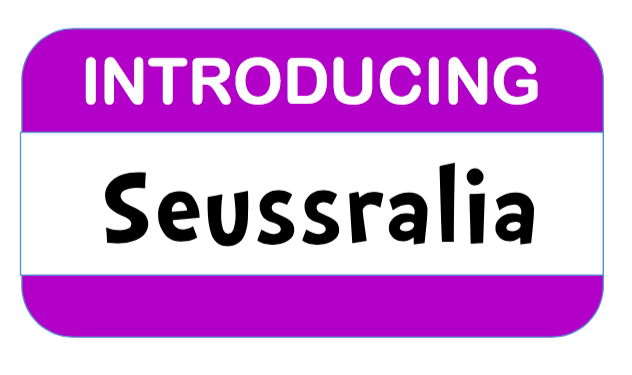 Choosing our language was easy - in Seussralia we speak Meowinese (and English). Each class in B block has been allocated a colour, our colour is white. Since we can walk between our class and the others in B block, we decided our country should be like this too (instead of being an island). We looked at the 206 Olympic committees participating in the Olympics this year and where they came from. There are seven continents in the world - Africa, Antarctica, Asia, Australia/Oceania, Europe, North America, and South America. Each one has a different climate, population, time zone etc. We voted, and the majority (the most) of the class decided they wanted our country to be in Europe, and we want Seussralia to be a warm country bordered by mountains on one side and beaches on the other. Our country is divided into four cities, Wocket, Sneech, Fox and Yertle. These are the names of our cooperative groups! 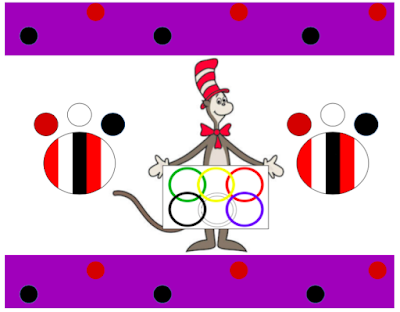 spots and our B Block Olympics logo. What a fun and creative Inquiry journey we are on. The children are learning lots - about the Olympics, creating, collaborating, and making choices. On Friday at Discovery, a group of students made a giant collaged flag using pictures from recycled magazines and a stash of donated computer paper. We used the liners from our recycling bins for sticks for our individual flags and bamboo garden stakes for the stick on the large class flag. It is great being able to put 'rubbish' to good use and we are starting to look at things quite differently in our classroom. For instance, instead of throwing out the old glue stick containers, we simply throw out the stubby glue bit and are keeping the shells and lids for Discovery time.